Over the last few months I've been writing a young adult story. A story I'm rather proud about. I wanted to buck the trend of the rather depressing and generic young adult stories that are so prevalent right now. The main difference that I added was the creation of a transgender teen. What I hoped to accomplish was a universal story anyone can relate to but featuring a character who just happens to be transgender. 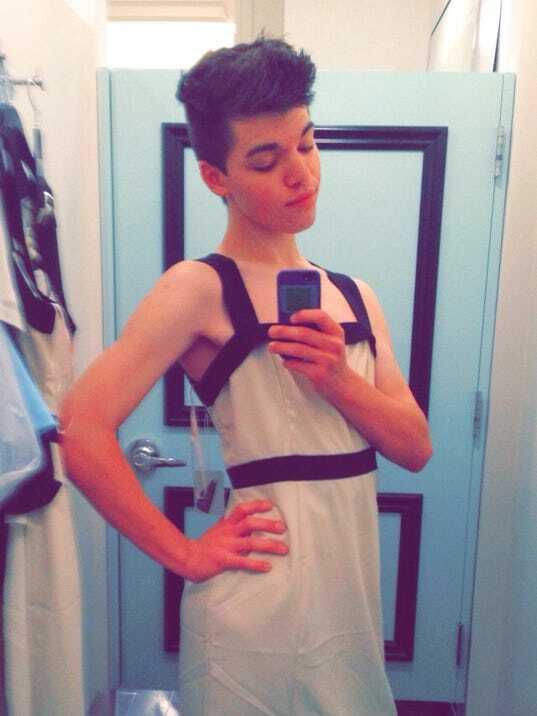 But I also put trials in her life that show what transgender teens go through in their life. I show a parent who isn't quite on board, students discriminating, a sister who feels betrayed and everyone coming to terms with everything in their own way. 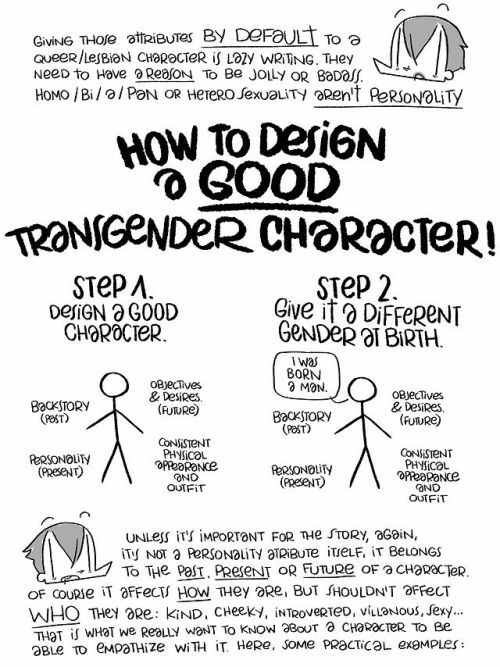 For those of you wondering if it was difficult writing a transgender character, it wasn't because I just created a dynamic, well-rounded character who just happened to be transgender. But I know the character still needs work and that's what I'm going to be spending most of my editing time doing. Fleshing out the character and making sure that her experiences are believable is important to the story as I want everyone to be able to put themselves in her shoes because people need to know that trans people are just that. People. In the early morning hours of December 28th, Leelah Alcorn was hit by a tractor-trailer while walking along a stretch of Interstate 71 near Kings Mills, Ohio. The death was ruled a suicide after a post appeared posthumously on her Tumblr blog. It was a suicide note but more than that, it was a plea. A plea that her death matter. The note revealed that while Leelah (legal name, Josh) came out to her parents at age 14, their reaction was less than comforting. The Alcorns took their child to therapists but only therapists who extrapolated Christian values, when Leelah came out at school, her parents took her out of school and took away access to the outside world. You can read the full suicide note here. Leelah's plea for a more educated and tolerable society shouldn't fall on deaf ears. We've told lesbian, bi, gay and trans people for the last few years that it gets better--that everything they had to fight for when they were younger stops when they hit adulthood and that people become more accepting and maybe for Leelah it would've become better but without support from her parents, it would've been a lot more difficult. Years of parental disappointment and loneliness is hard to come back from and enough was enough. Leelah's mother, Carla, posted on Facebook the day of that her beloved son was hit by a truck while out on an early morning walk and to keep her family in your prayers. Since Leelah's death, her mother has been routinely erasing her daughter's gender by only referring to her as her son. She also refuses to even acknowledge that she had a role in her daughter's death.To a point, I get it. What parent wants to admit that they are the reason for their child's death? The erasure that Carla is doing to Leelah happens to teens of the LBGTQ+ community regularly and while it's nice that Carla has repeatedly said that she loved her son, but she said that she couldn't support Leelah based on religious grounds. Based on news outlets that I have read, as with any story, there are two sides. Carla said that Leelah only came to her a few times about being transgender, never heard her use the name 'Leelah' and that while she denied Leelah from starting transitioning it was because it was too expensive. We may never know how often Leelah's parents told her "I love you" after she came out at age 14 but if you have a child, it is your responsibility to love them unconditionally and from Leelah's suicide note and a CNN interview with Carla, Leelah's parents did not love her unconditionally. Their love came with a condition--that Leelah be a good Christian boy. It's great that she loved her son, but she allowed her supposedly loving and caring religion from loving her daughter. In her suicide note, Leelah said that she wanted her death to mean something. I hope we don't let her down. The Trevor Project operates a 24/7 confidential hotline for LGBTQ+ youth. If you are in crisis or feeling suicidal, please call 1-866-488-7386, chat with them online here, or text them here.